A total of 13 14 candidates from Assam (till the last report came in ) have brought glory to the state by clearing the prestigious Union Public Service Commission (UPSC), 2018 examination. Tanmoy Basistha Sarma secured the 10th position among 759 candidates while Mriganka Shekhar Pathak secured 103rd rank. 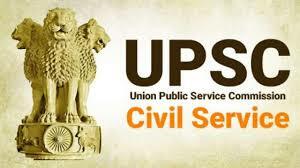 Union Public Service Commission (UPSC) has today declared the result of Civil Services Examination, 2018 on its official website. Kanishak Kataria, a B. Tech graduate from IIT Bombay has topped this examination. Utirna Ranjita Sarma (130th), Namita Sarma (145), Dipankar Choudhury (166), Garima Sarma (170), Rishabha Garg (200), Rahul Gupta (286), Aaranyak Saikia (287), Fourman Brahma (429), Abhishek Goswami (525), Tapash Basumatary (645), Sourav Sarma (656) and Deeksha Langthasa (708) are other successful candidates from the state.